People often ask me why the oaks and other trees in California need to be tended. Oaks have been growing in California for many thousands of years, so why would they need our help now? The answer is clear. The great oak woodlands and savannas of California are not the result of mother nature doing what she does best. The iconic oaks are largely the product of thousands of years of tending by Native Americans. It is well documented that the native people here managed the oaks with fire, keeping the ecosystem in an early successional state that is optimal for oaks. Acorns from the oaks were a primary food source for the native people of California. Now-a-days, fires are no longer allowed to burn in many areas and the oaks and other trees are suffering. One solution, of course, is to reintroduce fire back into the ecosystem. 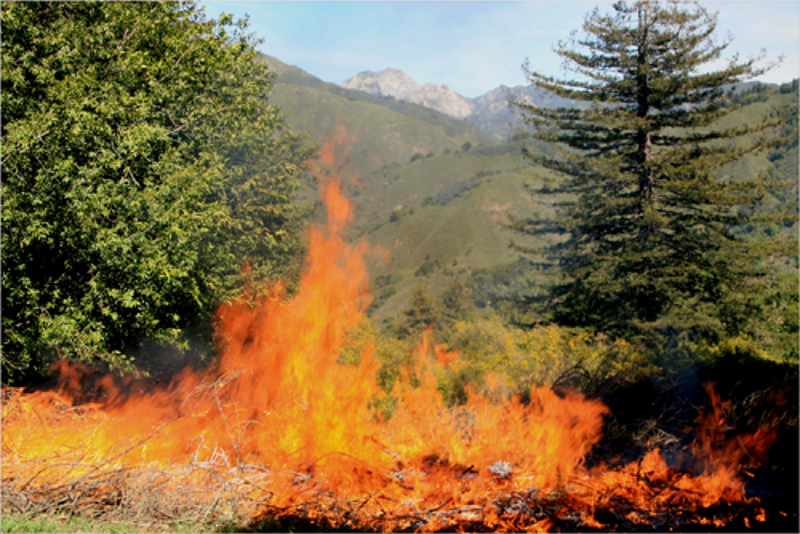 Indeed, prescribed burning has been a successful management practice used by managers in Yosemite and Sequoia National Parks. The specific methods and materials that are used depend on the type, condition, and situation of a given tree or grove. I find it’s best to treat every tree as a unique individual and avoid “cookbook” approaches to tree care. Fascinating. I have a mix of oaks on my property, including at least one Coast/Canyon live oak hybrid per a botanist who came up here once – Jeff Norman. The Quercus lobata are my favorites. Thank you Kate. Yes, I remember Jeff Norman. He was a great naturalist and shared a wealth of information.